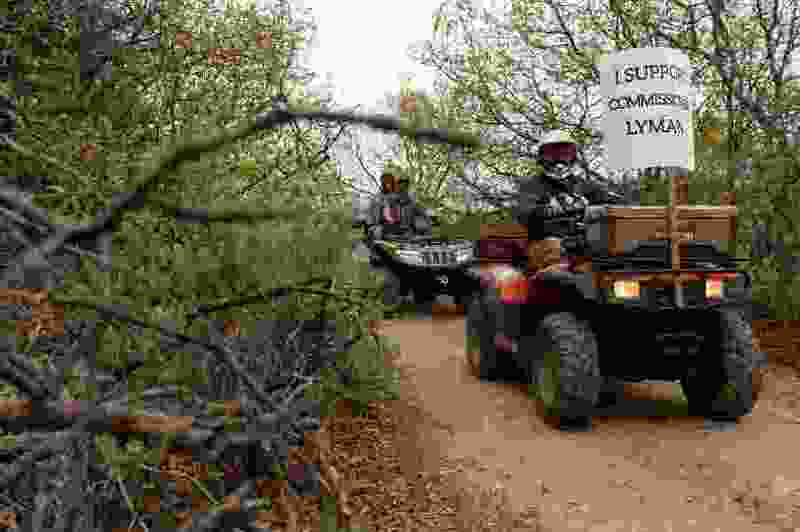 Trent Nelson | The Salt Lake Tribune Motorized vehicles make their way through Recapture Canyon, which has been closed to motorized use since 2007, after a call to action by San Juan County Commissioner Phil Lyman. Saturday May 10, 2014 north of Blanding. San Juan County Commissioner Phil Lyman’s recent op-ed (“Awaiting the fate of Bears Ears,” Sept. 19) demands a response. There is a perception in rural Utah that the land you live near belongs to you. Or at least that you know best how it should be managed. Any astute observer of history knows this perception to be untrue. Living close to public lands lends no special wisdom about their use nor moral authority to regulate them. Public lands are not “local matters” but belong to all Americans. That’s what public means. An argument can be made, in fact, that these national treasures may most need protection from the people living closest to them. It is not so very long ago that we learned of the widespread looting of priceless archaeological sites by San Juan County residents (some even with bulldozers) and the subsequent collecting and selling of artifacts stolen from Native American graves. And it is hard to forget the images of Phil Lyman defiantly leading a band of lawbreakers on ATVs down a posted and ecologically delicate stream bed. We know what you have in mind for our public lands, Commissioner.